The story follows four war orphans in a world, where a rebellion tries to stand against the Empire of Palamecia. The game follows basic Final Fantasy formula, except for the leveling system. Instead of the traditional EXP- based leveling, characters gain stats by using them (character that attacks gains strength, magic user gains MP by using spells). Game follows a story of four war orphans in a world, where rebellion tries to fight against the Empire of Palamecia. The game follows the basic Final Fantasy formula except for the leveling system. Instead of the EXP -system, characters gains traits by using them, for example a character that attacks often gains Strength, while a character who takes damage gains HP. Now you can add videos, screenshots, or other images (cover scans, disc scans, etc.) 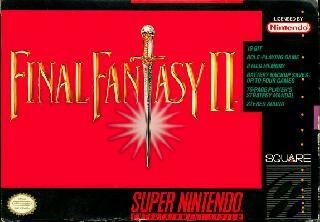 for Final Fantasy II (USA) (Rev 1) [Bug Fix by Deathlike2 v1.0a] (Yang's HP Fix) to Emuparadise. Do it now! If you haven't noticed yet, we have a retro game of the day feature (top-right of the screen) wherein we feature a new retro title every single day! Now, you can vote for your favorite games and allow them to have their moment of glory. 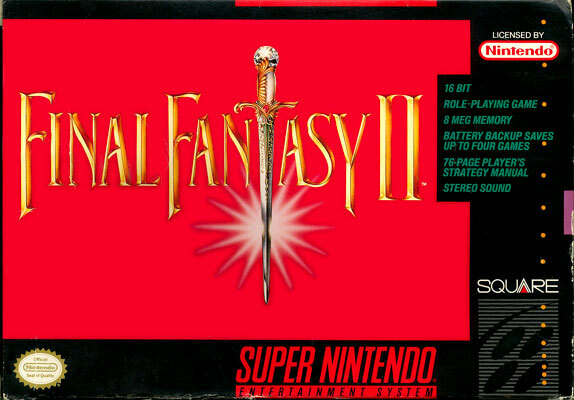 Click on the button below to nominate Final Fantasy II (USA) (Rev 1) [Bug Fix by Deathlike2 v1.0a] (Yang's HP Fix) for Retro Game of the Day.